When you think of Dublin, you probably think of Temple Bar. The all-encompassing maze of cobbled streets and traditional Irish boozers are a draw for tourists from all across the world. Watering holes are crammed full of merry (read: drunk) people 24/7, singing along to toe-tapping live Irish music all day long. Expect to pay heightened prices for the privilege, but you’ll never forget a night in Temple Bar. Like the sound of the quaint and iconic Temple Bar? Find out more about its traditional pubs and bars here. 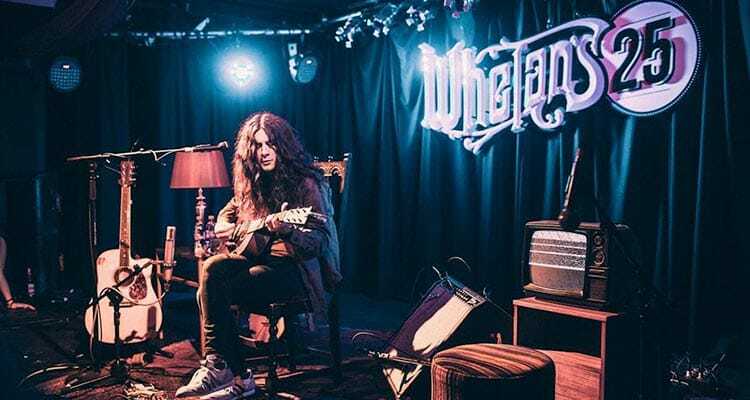 Unlike the tourist filled Temple Bar, the Wexford, Harcourt and Camden Street intersection is geared more towards locals and visiting music fans. 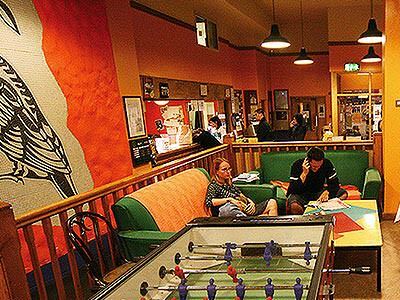 Packed with more of an alternative hipster crowd (don’t forget to pack your vintage check shirts and thick framed glasses), this area is home to some of the coolest bars and music venues, including Whealan’s – which has seen the likes of Bloc Party, Arctic Monkeys and Ed Sheeran perform. If you're a music (and booze) lover, check out the top 10 hen friendly bars and pubs in the Wexford / Harcourt / Camden Street area. 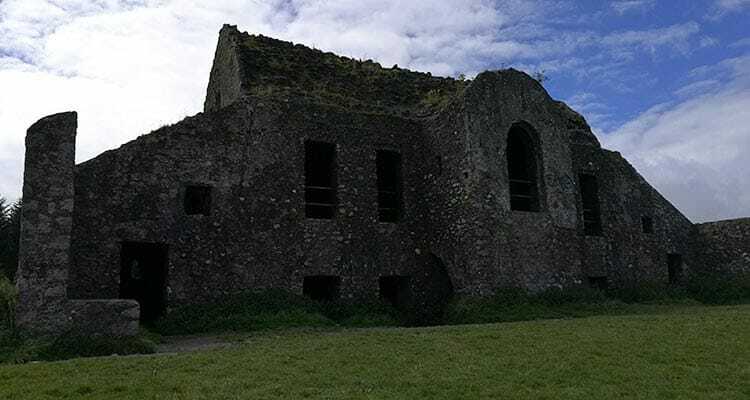 The southern banks of the River Liffey are home to Temple Bar, but if you’re privy to what’s beyond the famous river, you’re in for a special treat. This area, apart from being perfectly picturesque, is where you’ll see the real city – with locals celebrating every day of the week. The boozer-lined pavements stretch from O’Connell Street, to Jervis and the adjacent Capel Street. 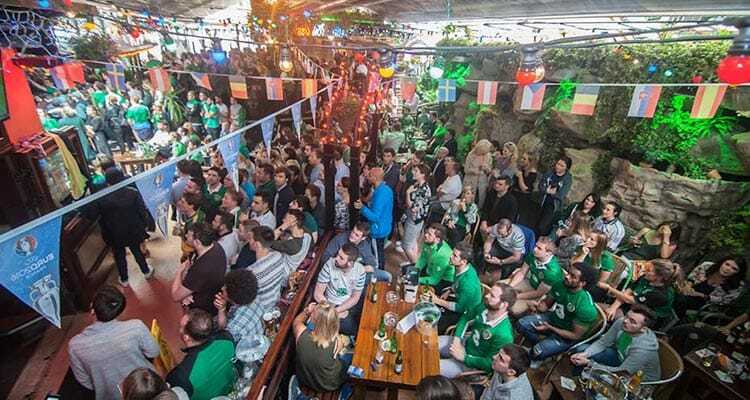 Take a trip north of the Liffey to see what all the fuss is about, and make sure to check out these top 10 bars in the area. 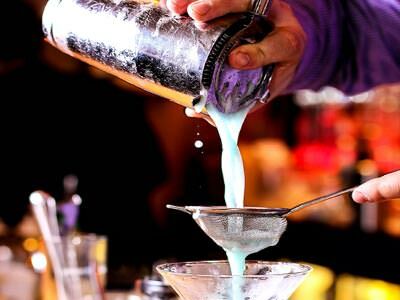 Check out the top 10 bars on the Baggot Street to George Street strip here. We’ve got your Dublin activities, accommodation and nightlife options sorted, with a generous side order of cheeky Irish craic. We’ll see you there, sure. With four main - and extremely different - nightlife areas to its name, Dublin after dark has something to suit all tastes. Whether you've come for the live music, the range of drinks or just the good old craic, you're sure to get it in Dublin. Here are the top 10 hen-friendly bars in the entire city. Lillie is the sort of girl you want on your hen do. She’s glamorous, fun and seriously exclusive. Her boudoir on Grafton Street is widely regarded as one of the most premium nightclubs in the city, a real Footballer’s Wives style haunt, with deep red hues, booths, grand chandeliers and dark wood bookcases. The venue has four bars and boasts Ireland’s only micro-distillery, Lillie’s Laboratory – where every single distillation is unique and fresh. Lillie’s cocktails are out of this world (you can even make your own in a Lillie’s Bordello cocktail class), with the likes of as Ketel Cup Ice Tea and French Sour, alongside house cocktails – including the likes of the Choc-Tini, Blue Ivy (not Beyoncé’s kid) and the lethal Zombie on offer. They even sell the infamous Green Fairy (absinth) – well, in honour of St. Paddy, it would be rude not to, wouldn’t it? You don’t get much louder, prouder or bolder than Dtwo. Actually located within the Harcourt Hotel, this two-floor nightclub is a hen and stag party institution. 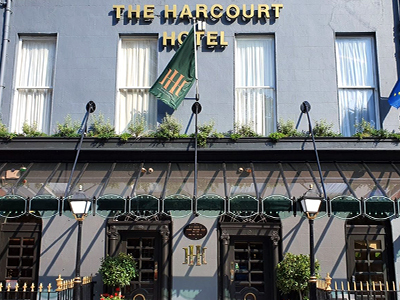 If you’re staying in this lively hotel, you’ll be here every night and if not, you’ll definitely make the trip to Harcourt Street to see what all the fuss is about. There’s an all-weather terrace with a 500 capacity and even a backyard BBQ, where you can get yourself a burger at 2am. There are three bars and the club is open until 3am on Fridays and Saturdays – those Irish folk sure know how to party. Ditch the 3D glasses and salted popcorn, this is like no Odeon you’ve ever known. 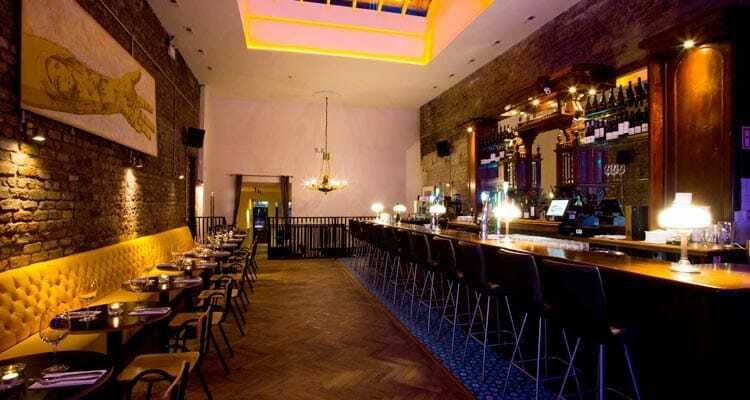 Also located on Harcourt Street, Odeon Bar is nestled within the Grade I listed, former Harcourt Street Railway – yes, it really is as grand as it sounds. With high ceilings, plush interiors and a huge, central bar, Odeon is an excellent warm up act for Dtwo, which is just metres down the road. 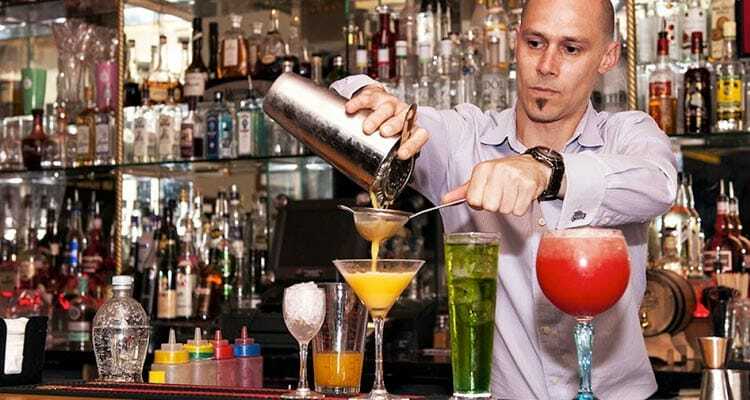 You can even take part in one of Odeon Bar’s cocktail workshop, where a professional mixologist will teach you how to mix, shake and twist your very own concoctions, with a side of vintage glamorous to match your host venue. Cocktail lovers, listen up. Set slap-bang in the middle of the city’s most popular shopping thoroughfare, Harry’s on the Green is an award-winning cocktail bar which offers a slice of New York City, in the heart of Dublin. 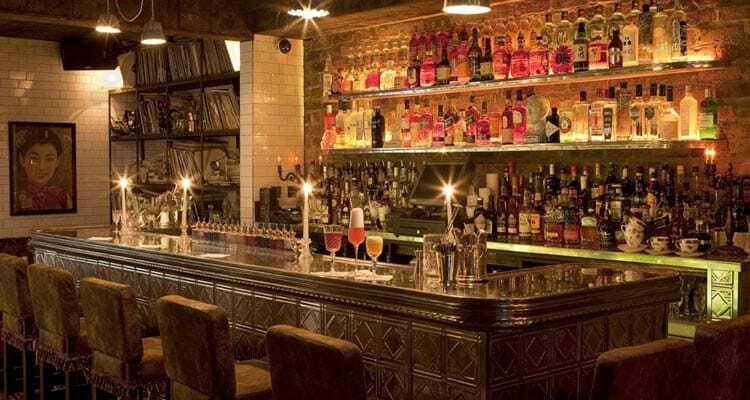 This cosy cocktail joint has elaborate bars and discreet lounges, perfect for the tastes of all groups and the talented mixologists run cocktail workshops throughout the day and evening. Even if you’ve never been to Dublin, you’ll recognise the iconic corner building surrounded by cobbled streets and everything Irish, The Temple Bar. Not just an excellent spot for live music and soaking up the local culture, it’s a tourist attraction in its own right. 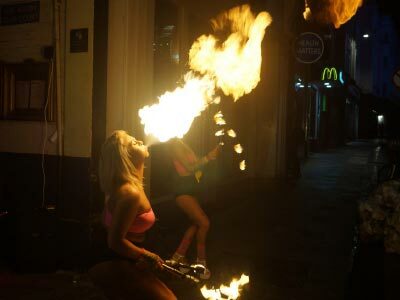 There’s a huge and impressive drinks list, but be warned, prices in the Temple Bar nightlife area dramatically rise as the day wears on – which is something to bear in mind if you’re watching that hen party kitty. Temple Bar even has one of the busiest beer gardens in the whole city, where you can top up the tans while enjoying some infectious Irish craic. Bob is the sort of guy your mother warned you about. He’s the party king of the Temple Bar, with five floors of crazy lighting, vintage paraphernalia and rowdy stag and hen groups having a good old Irish knees up to a backdrop of live music. 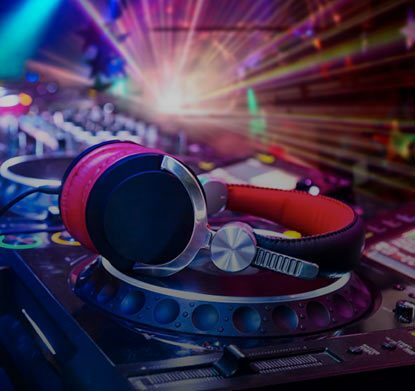 Speaking of music, there’s live musicians and artists performing every night of the week and there’s even a lovely rooftop terrace where you can take the party al fresco and get some stunning hen party selfies. Badbobs is so good, that when we went over to Dublin, we couldn’t resist checking it out – here’s what we thought. A drink or two in The Chelsea Drugstore is just what the doctor ordered. The building in which The Chelsea Drugstore is housed is well known for its long, illustrious past, and has been the site of much Dublin debauchery over the years. 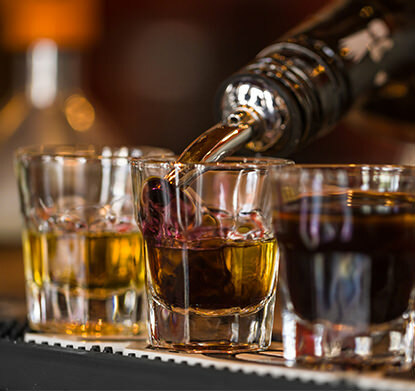 At the turn of the 1900s, the healing power of cocoa was discovered and sold for its medicinal uses, where nowadays, the bohemian haunt is used to prescribe a different form of medicine completely – booze. The massive range of creative, awe-inspiring cocktails will have you picking your jaws (and fellow hens) up off the floor ‘til 3am. Celebrating 25 years of live music in Dublin, Whelan’s is a must visit. 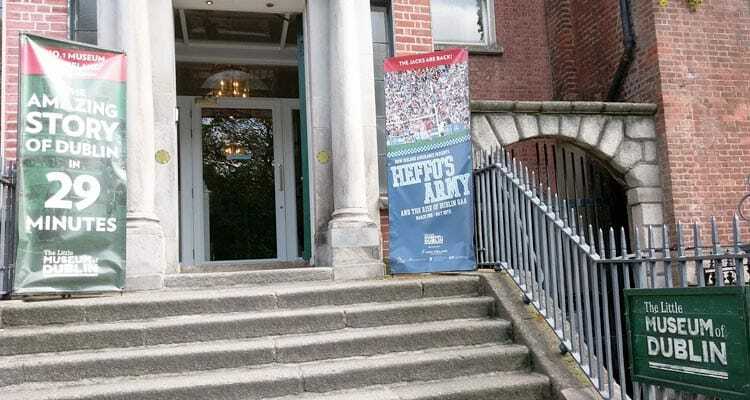 Located on Wexford Street, this deceptively large venue is the real origins of music in the capital, having seen the likes of Ed Sheeran, Arctic Monkeys and Bloc Party showcase their stuff on the big stage. Due to its atmospheric vibe and unique intimacy, it’s even been the set of many films – you might remember it from P.S. I Love You when Hilary Swank visits Dublin and watches live music in a traditional bar. 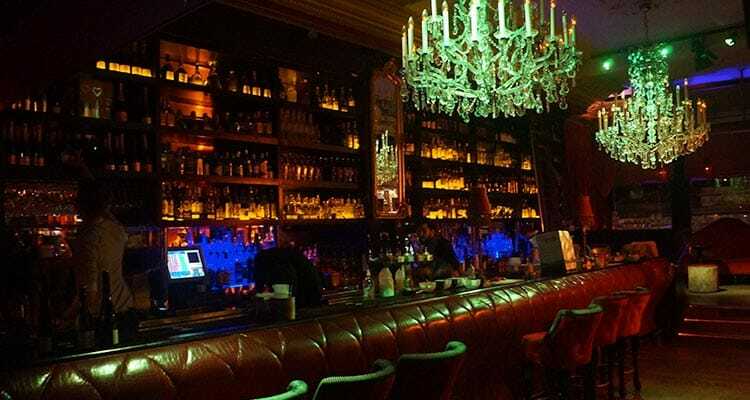 However, whilst live music is its bread and butter, the club also has a lot more to offer – including an impressive cocktail list and an enviable location on the Wexford, Harcourt and Camden Street strip. You already know that you and your fellow hens can enjoy a tour around the iconic Guinness Factory on your hen weekend in Dublin, but did you know that the bar at the very top of the pint glass shaped building is considered to be one of the very best bars in Dublin. Making up the ‘head’ of the pint, the completely glass sided walls of the bar offer stunning views over Dublin – just grab your Guinness (don’t worry, they serve other drinks, too), six back and take in the scenery. When it comes to cocktails, you don’t get much fancier than The Liquor Rooms. 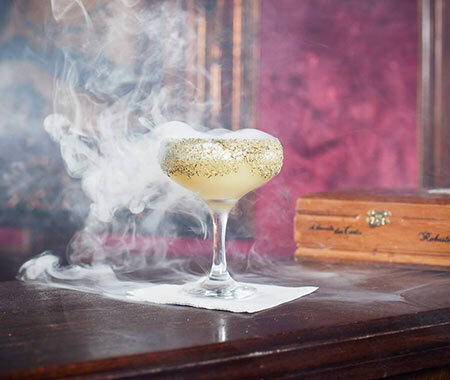 Set beneath the Clarence Hotel, this award winning speakeasy/French-boudoir/underground bar boasts a clandestine vibe amongst its rabbit warren of stylish rooms. The extensive drinks menu (and by that we mean a whopping 28 pager) has creative cocktails such as Pistachio Moustachio, Fishwives Fancy, Quick Question and El Gringo Diablo. All coming in picture perfect drinking vessels, any drink in The Liquor Rooms will send your Instagram into overdrive. You'll have heard all about Dublin's nightlife before you even step foot off the plane - it's a tourist attraction in its own right. We've rounded up a few of the bar crawls you definitely need to check out on any trip to the Emerald Isle. 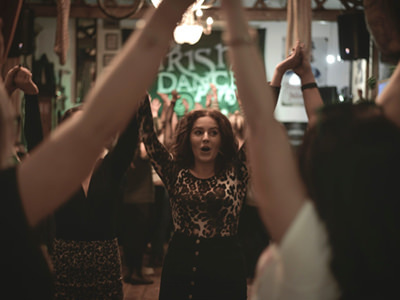 Dublin’s hen party activities are a cut above the rest, cementing its position in our top three hen do locations across the globe. With over 160 activities to choose from, including some of the very best cocktail workshops and the world renowned Guinness Factory Tour, Dublin is the city with it all. You can’t visit Dublin without a trip to the home of the liquid nectar, Guinness. It’s our most popular Dublin activity by far. 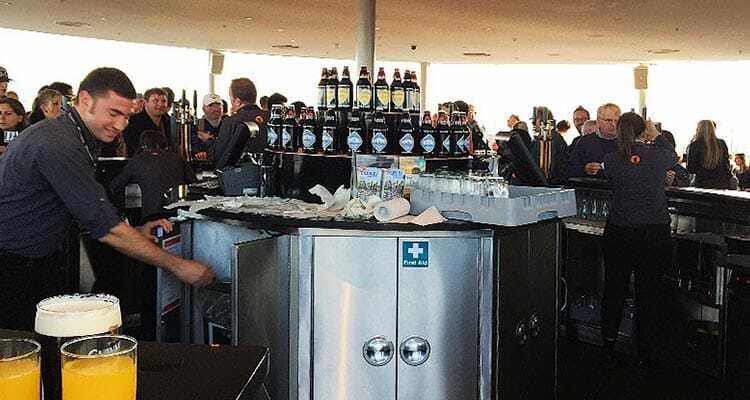 You can even pull your own pint, and sip your very own beverage whilst taking in the panoramic views from the stunning Gravity Bar. Work off all of last night’s booze with a pedal powered sight-seeing tour around Dublin city centre. You can even bring your own music to blast through the on-board audio system. Single Ladies on maximum volume, anyone? 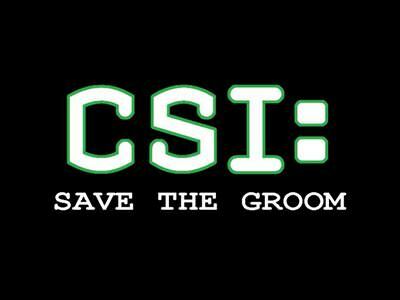 Become a fully-fledged member of CSI, investigating your Groom-to-Be's kidnapping and saving the day by bringing him to safety in time for the big day. As an added incentive - in case saving him wasn't enough - the winning team gets a bottle of prosecco. The girls have landed, and Dublin needs to know about it. Make transfers that little bit more exciting with private hire of your very own mini bus. There’s a music system on board, and you can even bring your own drinks for added fuel. 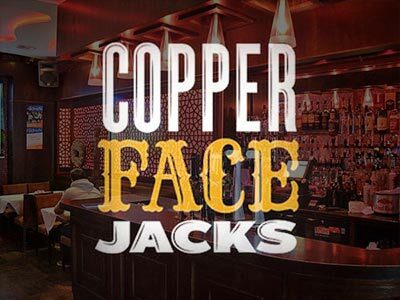 Located on the legendary Harcourt Street, your Dublin hen party wouldn’t be worth its salt without a trip to the multi-level Copper Face Jacks nightclub. With a 22ft LED video wall and one of the best beer gardens in Dublin, it’s a hen party fail safe. If the TV shows the Cube, the Crystal Maze and an Escape Room got together and had a child, this frenetic team-based activity would be it. 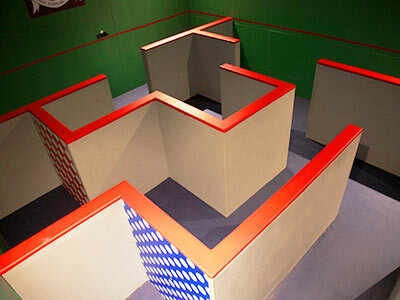 Take on over 28 unique rooms, each containing a series of physical, skill & mental challenges. 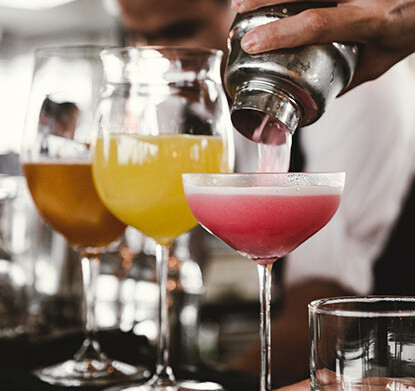 What better way to get the part started than by learning how to make some seriously instagram friendly cocktails and then getting to drink them? 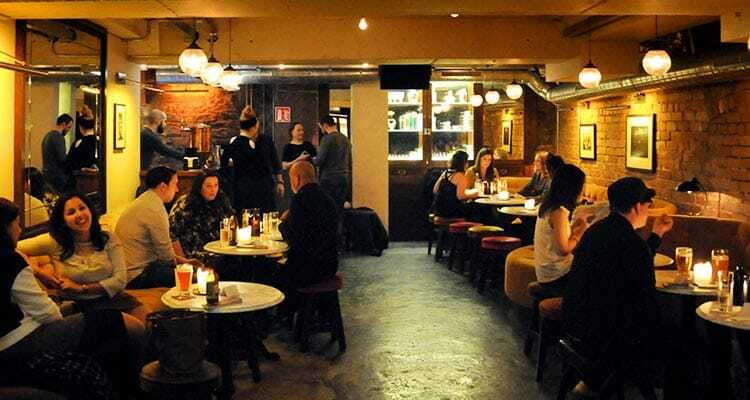 To cap things off, this smart New York-inspired basement bar enjoys a cracking location right in the heart of Dublin's shopping district too boot! 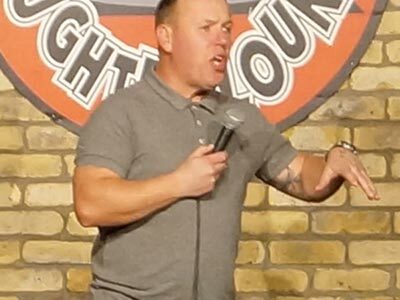 As if your hen party wasn’t filled with enough girlie giggles, you can head to the comedy club for laugh a minute stand up acts. Having seen the likes of Michael McIntyre, Sarah Millican and Jimmy Carr grace its stage, this comedy club has set the bar pretty high. Check it out for yourselves. 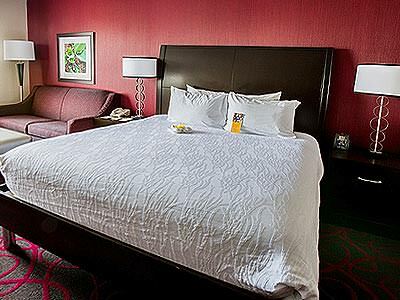 Between knocking back shots and stumbling from cocktail bar to cocktail bar, you’ll need a spot of respite. You’re only human. 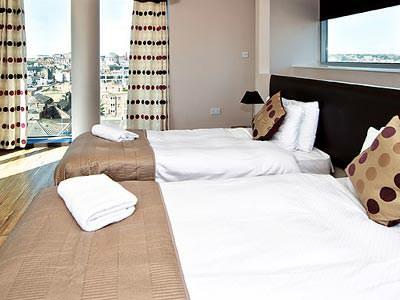 This is why we’ve rounded up the very best in Dublin accommodation, here you can disco nap before continuing the party. Synonymous with stag and hen groups, this hotel is loud and proud. With its own adjoining basement bar and beer garden, if you don’t want the party to end when you get back to your hotel, this is the place for you. 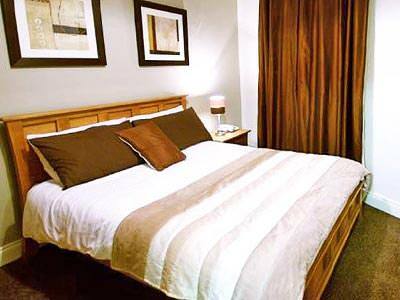 Located north of the picturesque River Liffey, you’ll be based close to the wonderfully Irish nightlife hotspots of Parnell Street, as well as Capel and Jervis Street. This place even hosts huge, live Irish nights for a true experience of Dublin. These apartments are the ultimate home from home right in the centre of town. Just minutes from Temple Bar, you can literally roll out of bed to experience the live music and great drink the area has to offer. Centrally located, the Christchurch apartments are a great place to sleep off your hangovers the morning after a big night out. 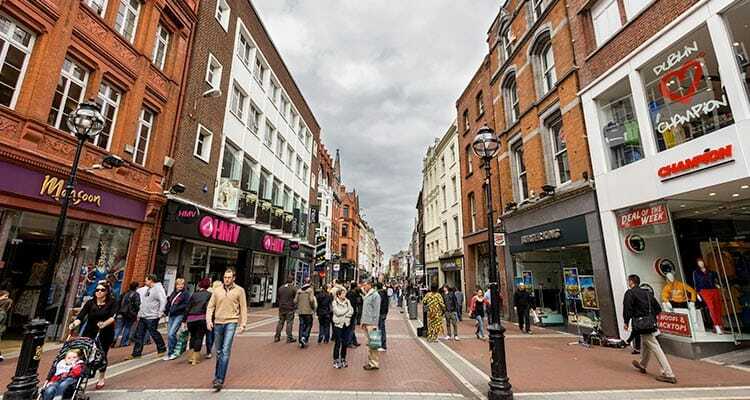 Grafton Street’s famous shopping thoroughfare is also well within walking distance. These sleek, trendy apartments are double the size of a normal hotel room, finished to a seriously high standard (only the best for your hen do). You’ve also got an on-site cafe for that much needed morning after caffeine hit. 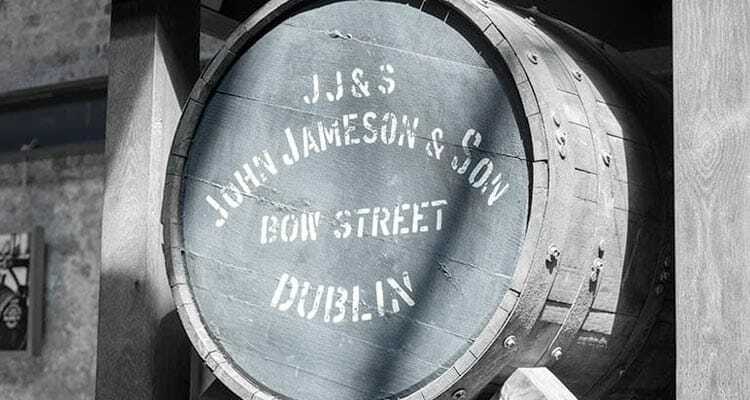 With Jameson Distillery next door, and Temple Bar just along the road, you’re in the best place here. 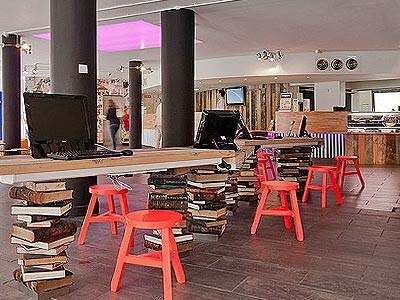 This hostel is even furnished with old Jameson bottles, so you’ll be literally surrounded by alcohol on your hen weekend in Dublin (the best way to be). When you think of Dublin, you probably think of the iconic Temple Bar pub, so why not base your celebrations right in the heart of it? Located just two doors down from the pub itself, you’ll be able to roll out of bed and get your next drink. 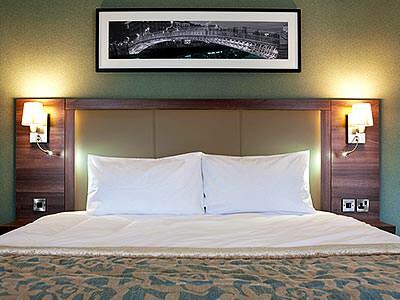 Sophisticated and peaceful, this Hilton is in a perfectly tranquil location just opposite the River Liffey. 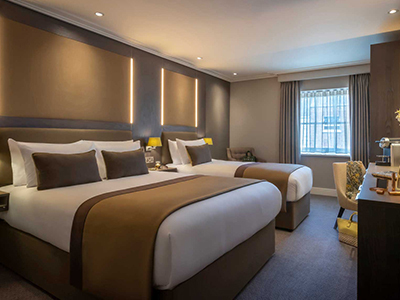 With 239 spacious rooms and a casual in-house bistro where you can get a Guinness pie, this swanky hotel has your name written all over it. 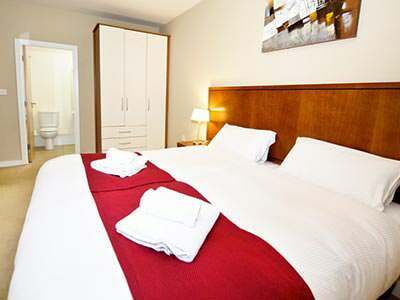 The bright and airy dorm rooms are the perfect place for a girlie catch up, before a wild night out in Dublin. There’s even an in-house cinema room and cool cafe, to ease those hangovers in style. 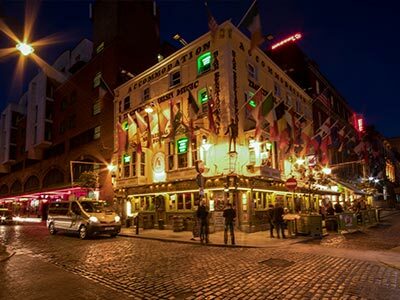 Close to the legendary Temple Bar, you’ll have every sort of bar, pub and club imaginable, right on your doorstep. 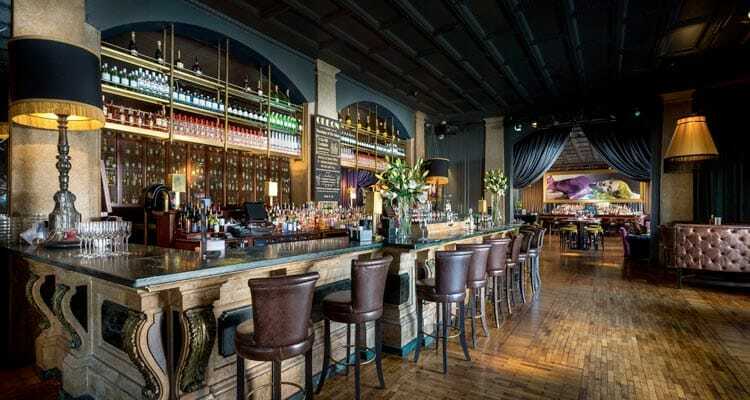 There’s even a stylish in-house bar where you can relax with a crisp glass of wine before heading out to experience the true vibe of Ireland. 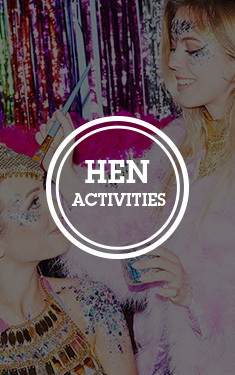 Build your own ultimate hen weekend in Dublin, with the very best activities, hotels and nightlife you could imagine. Just sit back and let us do the graft for you. If your knowledge is limited to pots of gold, leprechauns and St. Paddy's Day, it's probably time to brush up on your Dublin knowledge. Here's exactly how you can, with our top 10 ways to tick the cultural box in Dublin. Quoting classic literature is a failsafe way of sounding like you’re a highbrow lass who knows her stuff. But how about going one better and telling people you’ve actually visited a location in James Joyce’s Ulysses? Now that’s impressive, you culture vulture, you. The shop is maintained by volunteers, dedicated to preserving the shop as it was in Joyce’s time. It’s packed full of second-hand books and the lemon-scented soap from the book that made it famous. Basically, it’s the 1904 version of Lush… Plus, there are daily readings of Joyce’s work, period dress nights and a lunchtime Joycean Cabaret. 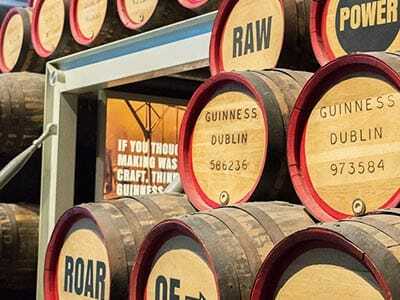 You can’t visit The Emerald Isle’s capital without a trip to the Guinness Factory – it’s basically a rite of passage. 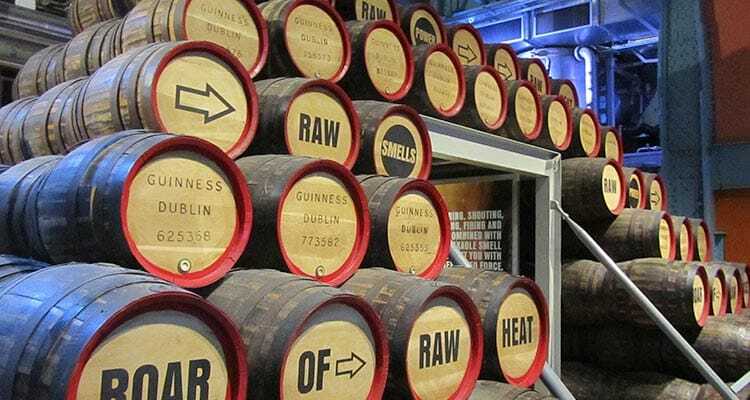 Even if you’re not a fan of the ‘black stuff’, the Guinness Factory tour will give you and the girls a fascinating insight into the brewing process (one to tell the Hubby-to-Be once you get home) and will lead you through the pint glass shaped building, to the Gravity Bar at the top (the head of the pint, if you will). 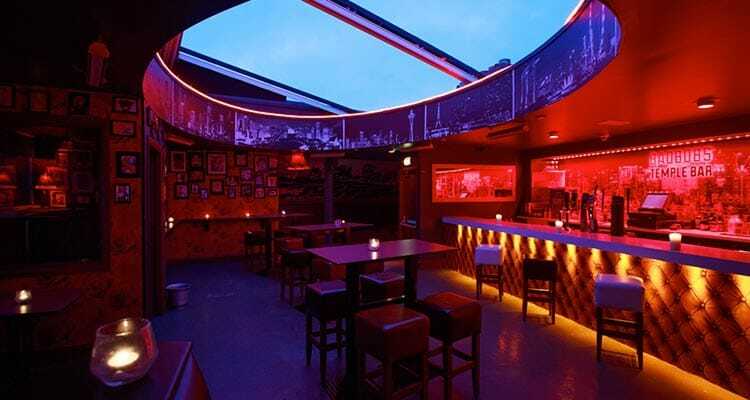 If you’ve been paying attention, you’ll have seen this bar featured in our top 10 hen-friendly bars in Dublin and will know exactly why it’s so special; the 360 degree panoramic views of the city make this the most enviable drinking spot in Dublin. If you’re a retail loving hen, the chances are that you’ll be visiting Grafton Street for the huge range of fashion, jewellery, boutique and high street shops. However, this particular well-trodden thoroughfare in Dublin dates back to 1708, where it began as an affluent residential street in which the original architecture can admired today. Absorbing the local culture and history whilst shopping for a new outfit? This is our kind of history lesson. This street is also a great place to celeb spot - Ed Sheeran famously ‘met her on Grafton Street’, after all. 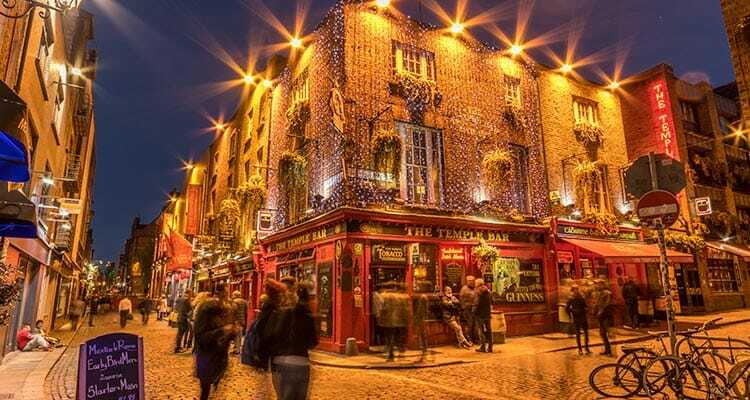 Known for its iconic cobbled streets, big name pubs and 24/7 party vibe, the Temple Bar nightlife district’s reputation precedes it, and you won’t be disappointed. Apart from being a hub of live music and free flowing booze, the Temple Bar is widely regarded as the city’s cultural quarter. Anywhere that ticks the cultural box and serves drinks is a definite yes in our book. 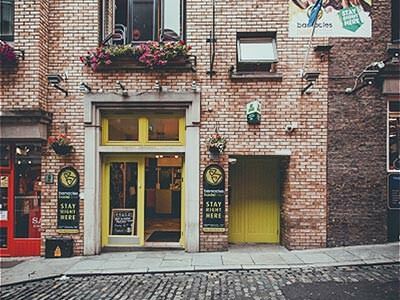 Hidden behind a black iron door, VCC (for the select few in the know) is regarded as one of Dublin’s best kept secrets. 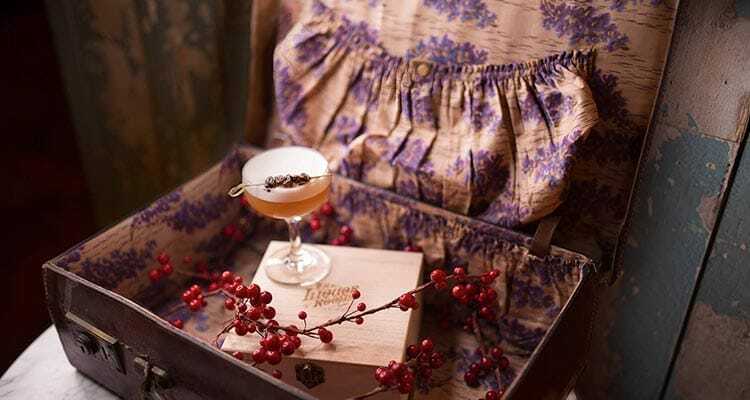 The award-winning cocktail menu is where this place gains real notoriety; including drinks inspired from the early 1400s to 1600s (a history lesson whilst you’re at it), and all the way through to the roots of the Tiki craze. You’ll have to ring a doorbell to gain entry, but once you do, you’ll be transported to the vintage-age of speakeasies and glamorous movie starlets. Mixing drink with cultural tourist attraction (the Irish are good at this), The Old Jameson Distillery is definitely a must visit on any hen weekend in Dublin. Even if you’re not a fan of whiskey, the enchanting distillery is packed full of history, interactive exhibits and insights into producing the liquid nectar. It’s also got a huge bar where you can sample your favourite whiskeys – don’t worry, you can get other drinks, too. Nestled in the heart of Dublin city centre, St. Stephen’s Green boasts nine hectares of plush green parkland, ideal for chilling out after a night on the cocktails. The pretty scenery is the perfect backdrop to a picnic or a classy hen party selfie. Plus, as you’ll be located just a stone’s throw away from many of the main central nightlife areas, once you’ve recharged your batteries, you can get right back on the wagon. Buckle up, as you’re in for a bumpy ride into the wonderful world of contemporary wine. Located on South Willian Street, the Da Vinci-esque, dark and cosy Bagots Hutton was originally opened in 1829, where business ran for 150 years until the family closed its doors in the 1980s - this building has serious amounts of history. Newly reopened, this part of the building’s history boasts 30+ old world wines all by the glass or bottle, professional wine tasting and a great munch during your lunchtime. 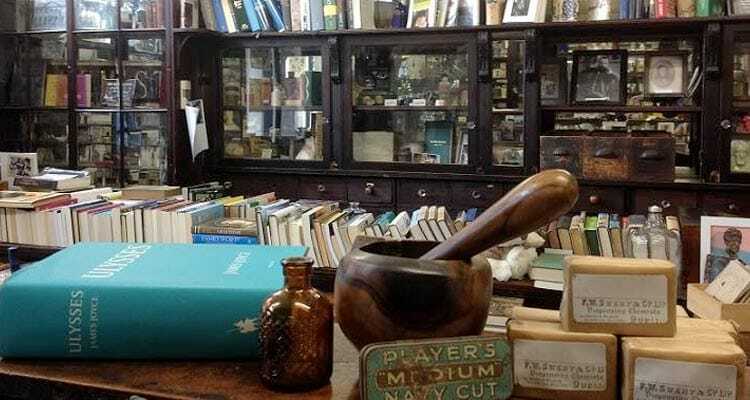 Giving you an easily digestible rundown of Dublin history, right up until the 20th century, visiting the Little Museum of Dublin is a failsafe way of expanding your local knowledge quickly and easily, so you can at least pretend you’ve done something that’s not just boozing on your Dublin weekend. 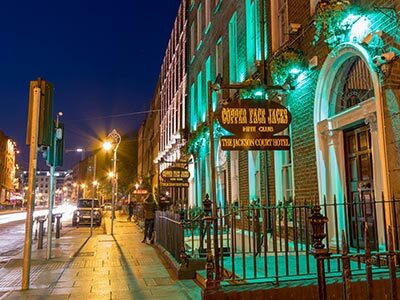 Similarly to St. Stephen’s Green, The Little Museum of Dublin is just seconds from many of the main nightlife areas – meaning you won’t have to travel far for your next cocktail. This is our kind of museum. We offer over 50 hen party locations across the globe, but of all of them, Dublin is one of our most well connected, taking as little as an hour to reach from destinations across the UK. The likes of Aer Lingus, British Airways, Ryanair and Easy Jet all regularly arrive and depart from Dublin’s airport, with over 25 million passengers through its doors each year. It takes approximately one and a quarter hours to fly from Bristol, Newcastle and Edinburgh, and only around an hour from Cardiff and Birmingham, meaning you’ll have time for a few drinks on the plane and before you know it you’ll have landed. If you’ve got faith in your sea legs, you could travel to Dublin the old fashioned way, on the ferry. Not as savage as it may initially seem, the ferry has cosy, on-board cabins with a fully stocked bar (essential) and a restaurant. Setting off from Liverpool, it’s a bargain of a journey, with P&O’s cheapest single fare costing only £59, leaving plenty money left in the hen party kitty for delicious cocktails. However, it does take eight hours, and it’s a further 20 minute transfer from the port into the centre of Dublin (which will cost around €25) – which is why most people opt for the quick and easy flight option. If you’re already based in Ireland or Northern Ireland, you’re in luck. Most major cities and towns on the island, including Galway, Belfast and Cork are easily accessible via road. It’ll take you under two hours from the Northern Irish capital, via the M1 and A1, and just under two and a half hours from Limerick. 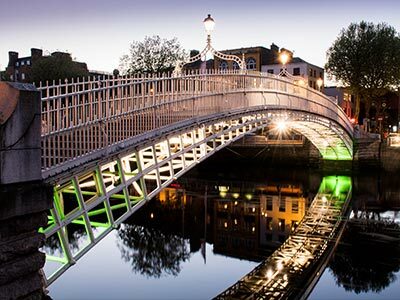 The Irish capital is home to some seriously iconic nightlife districts, as well as many well-known tourist hotspots. Luckily for you, most of them are within walking distance of each other. Even after a few cocktails, Dublin is seriously easy to walk around. 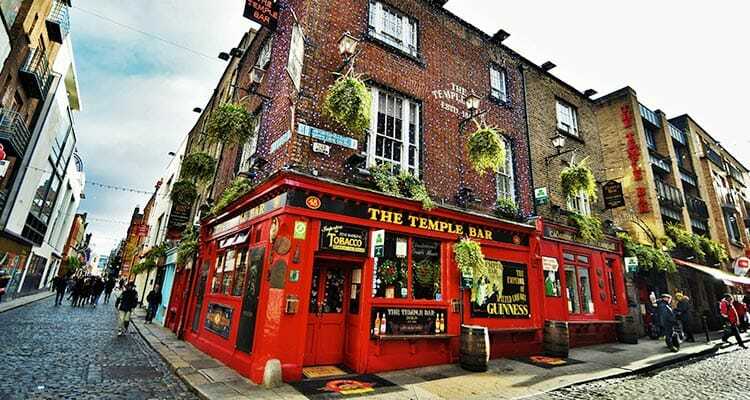 The main touristic (and drinking) hub in the whole city is Temple Bar, which boasts shoulder-to-shoulder pubs and bars, all in one concentrated area. This is great news for you, as you won’t have to find taxis to flag down, or, heaven forbid, use public transport, between bars on your hen weekend. Once you (finally) move on from Temple Bar, it’s just a 10 minute stroll to the likes of Grafton Street and a straight 20 minute walk to the bouncing Harcourt Street. Having said this, ladies in heels, we definitely recommend getting transport between nightlife districts – your feet will thank you in the morning. If your feet really are killing you in those heels, you could always opt for the bus to get you from A to B in Dublin. The dominant bus company in the capital, Dublin Bus, operates 110 radial, cross-city and in peripheral areas, and almost 20 routes across Dublin and Greater Dublin. You can get yourselves a single for seriously reasonable – for example, it’ll only set you back €2 to travel from Grafton Street to Pearse Street, north of the Liffey. If you’re spending the whole weekend or longer in Dublin for your hen party, you could even purchase a Five Day Rambler, which will cost €31.50. This may seem like a large chunk out of the hen party kitty, but with this ticket, you’ll have unlimited travel on the bus, Airlink and Xpresso. There are multiple taxi ranks peppered across the city, with one handy one just outside Dublin Airport’s arrivals terminal. You’ll also come across hundreds of taxis cruising through the streets, which you can flag down, as long as they have their lights on. Taxis are pretty reasonable in the centre, meaning that even from one end of the city to the other, your fare isn’t going to break the bank. If you’re looking to ‘taxi’ around the city in a unique manner (this is a huge celebration, after all), you could even treat yourselves to a tuk tuk ride around town. Dublin’s handy tram system, of LUAS, as it’s known, is a hugely popular form of transport in the city, with an average of 34 million passengers using it annually. The light-rail system has 54 stations spread over two lines, and a whopping 36.5 kilometres of track to its name. The Green Line covers the south of Dublin, with St Stephen’s Green located on this line, and the Red Line runs east to west, though the north side of the city, crossing the River Liffey on its travels. Tickets for LUAS can be purchased from side street vending machines, and will cost around €26 for a seven day and eight zone ticket. 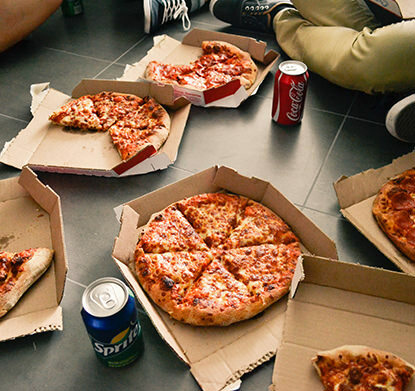 Dublin may be one of the pricier hen party destinations, but to make sure you're not getting totally ripped off, here are the average prices which you can expect to be forking out once you're there. 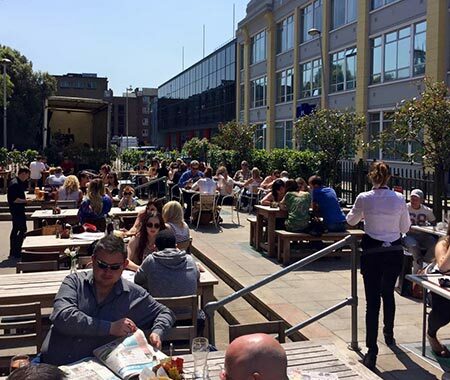 The summer months see people spilling out of beer gardens across the city, and, you’ll be pleased to know that Dublin is the driest place in Ireland. This glistening city reaches highs of 19°C in July and August, so make sure to pack those floaty summer dresses. Spring in Dublin sees averages soar up to 8°C and highs reach 11°C, which may not see you in floaty summer dresses and sandals, but may mean you can ditch your thermals for you hen weekend. Dating all the way back to the 12th century, The Brazen Head lays claim to the oldest pub in Ireland. This means that you can sup a few cocktails whilst getting cultured and having a history lesson at the same time. It’s a win-win. Dublin boasts exactly 666 licensed pubs, one of which saw Quentin Tarrantino refused to be served his pint. Dublin is constantly up there in our top hen party destinations, and it’s no surprise why. So, all in the name of research, we’ve thoroughly tested out each and every product that we offer… Why not take a look what we got up to during our travels to Dublin? 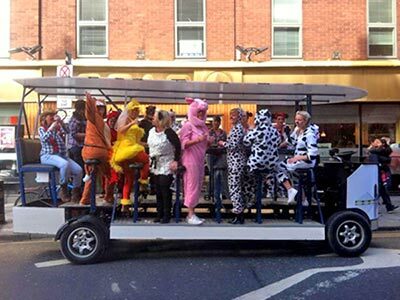 Why not check out our huge range of Dublin hen party activities - including the famous pedi bus tour, the Guinness Factory tour and entry into some of the city’s top nightclubs? Why Choose Dublin for Your Hen Party?